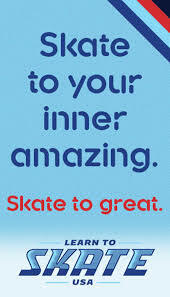 Early this year, I applied to be a skating judge because I wanted to become a better and informed skater and also share my skills and knowledge with younger skaters and help them achieve their skating goals. I wanted to improve my technical knowledge by learning how to assess and evaluate and score skaters' programs in competition and test sessions. I felt learning to become a skating judge was another great way to meet and work with knowledgeable and experienced people who share my interest and also allow me to give back to the sport I love so much.